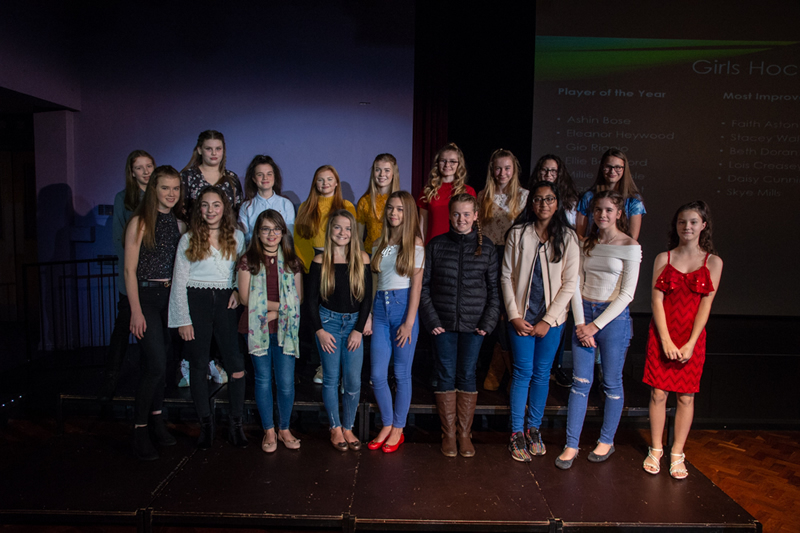 The annual Sports Awards took place on Tuesday 20th November to celebrate and reward students who have represented the academy in sport in 2017-18. 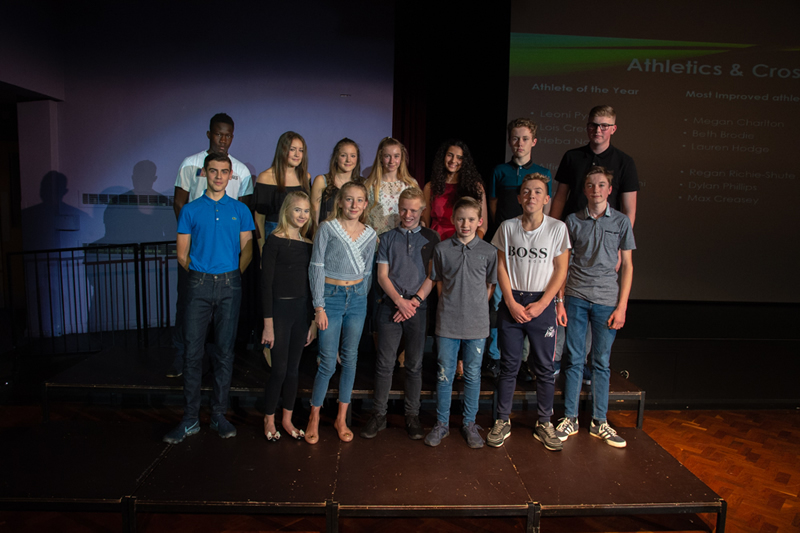 Awards were given out for the following sports; Girls and Boys Football, Hockey, Netball, Cricket, Rugby, and Athletics. 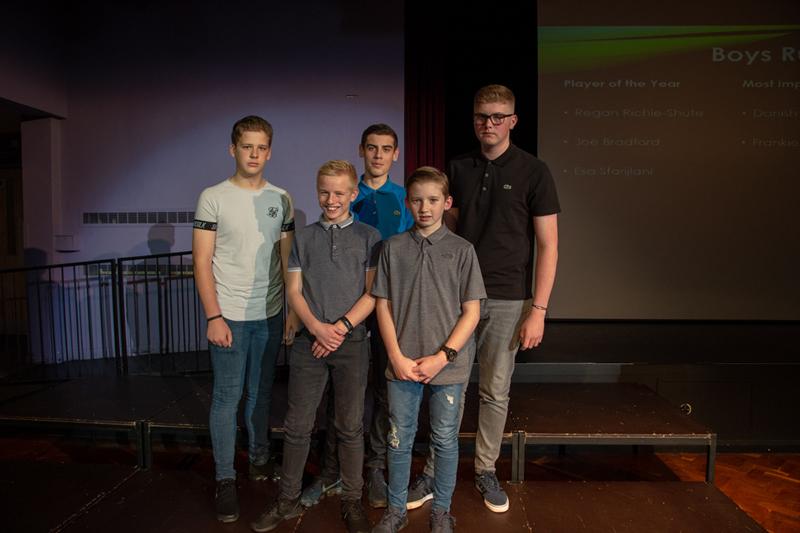 The awards were given to Player of the Year, Most Improved Player and Outstanding Contribution to Sport. 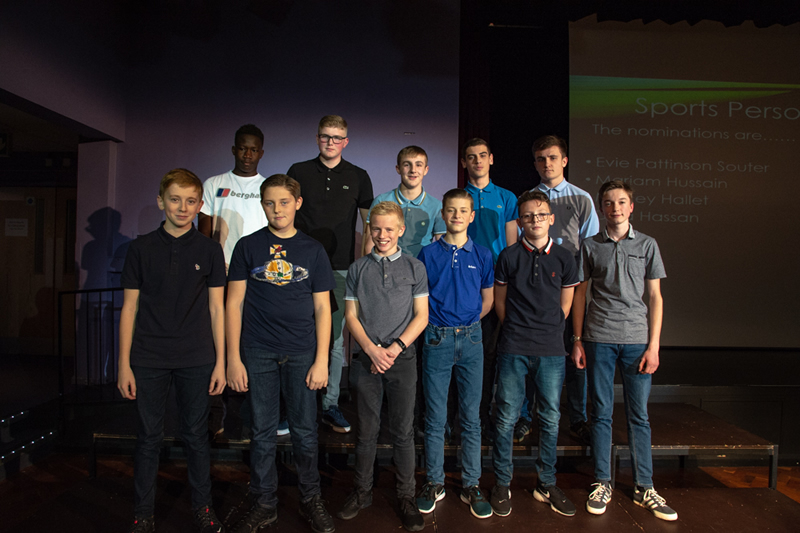 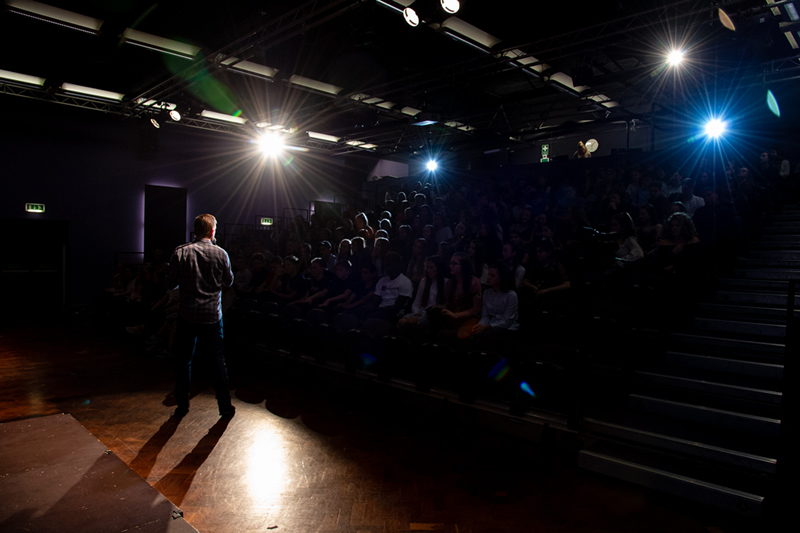 Students were then invited to vote for their Sports Personality of the Year from a list of nominations. 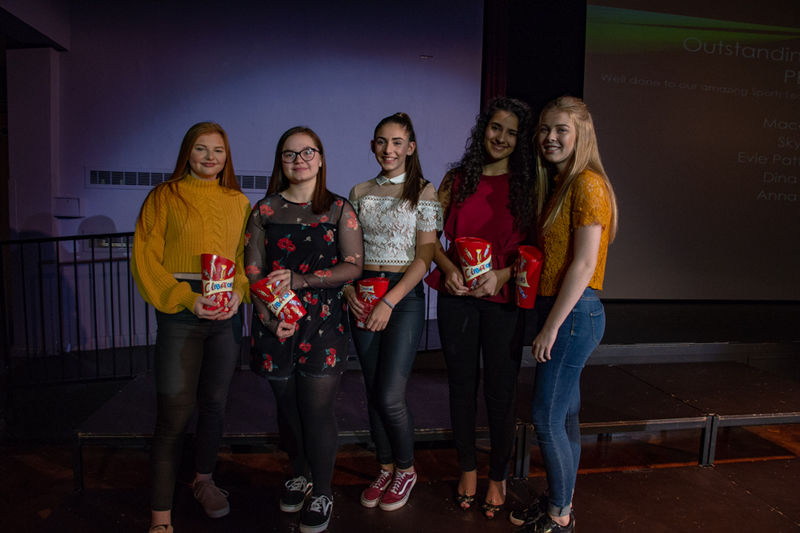 The winners were Martha and Regan from Year 8. 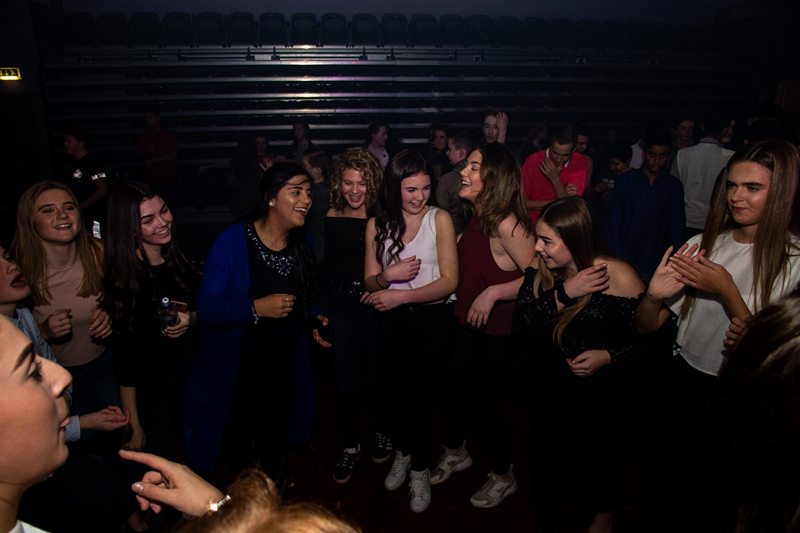 Lucy and Emmanuel from Year 9 and Max and Dina from Year 10. 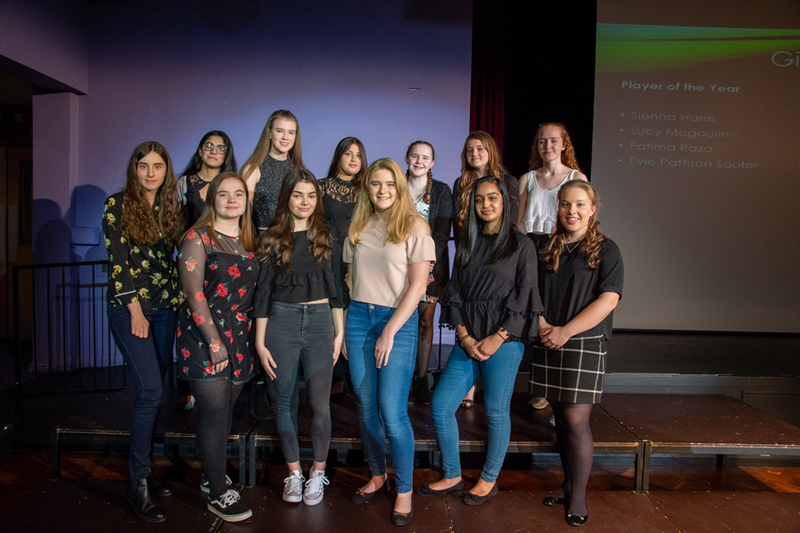 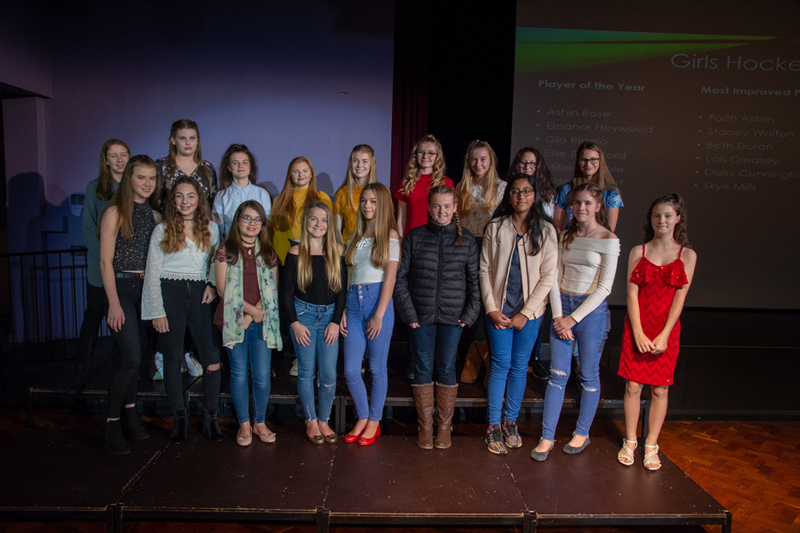 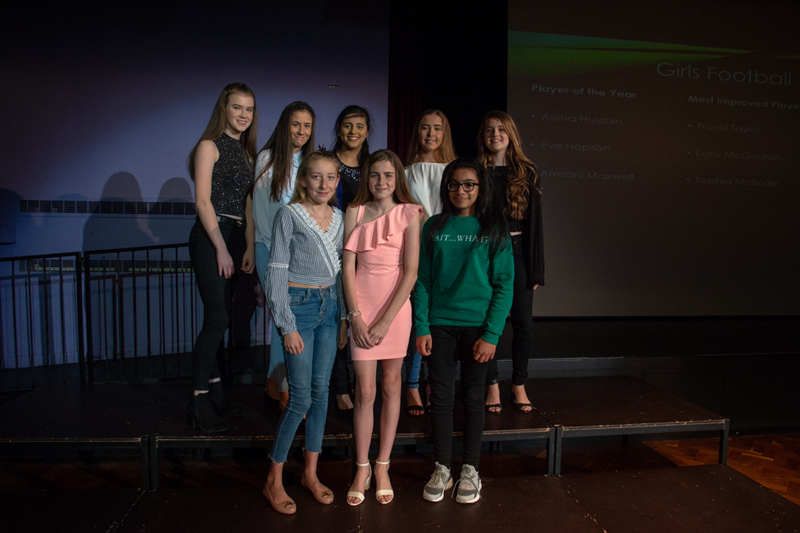 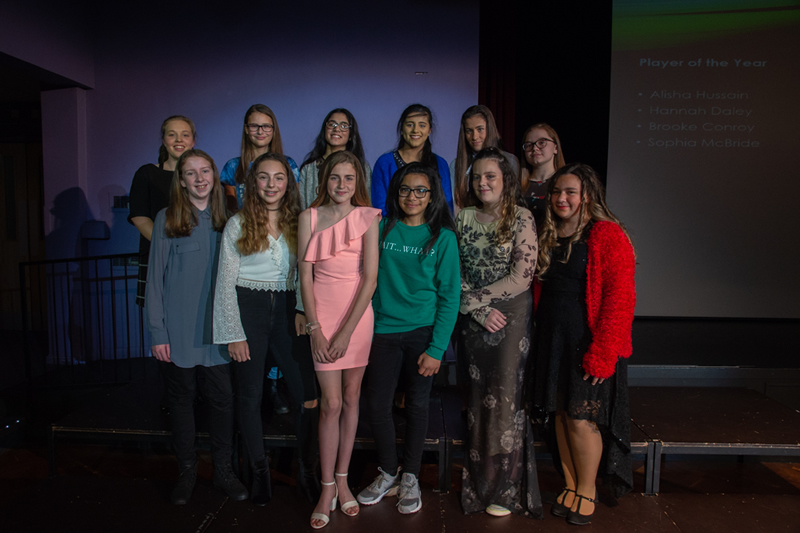 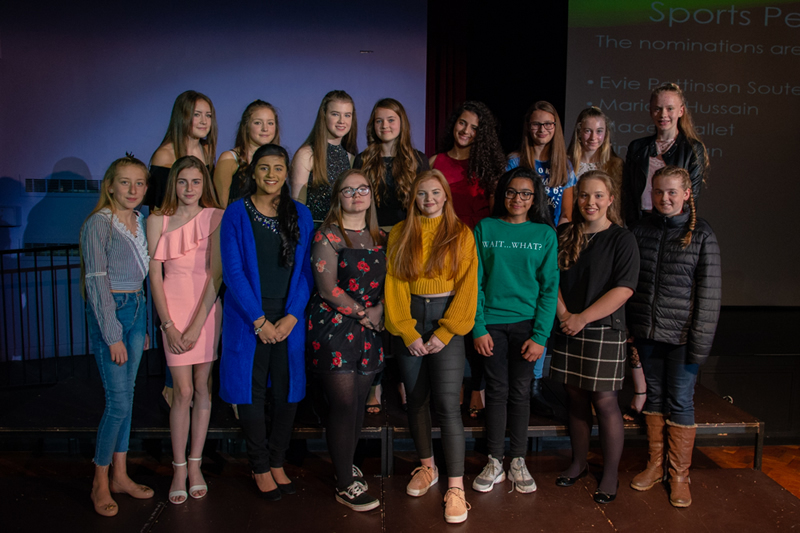 Team of the Year was awarded to the U16 Girls football team for their endless list of trophies and achievements including National Futsal champions! 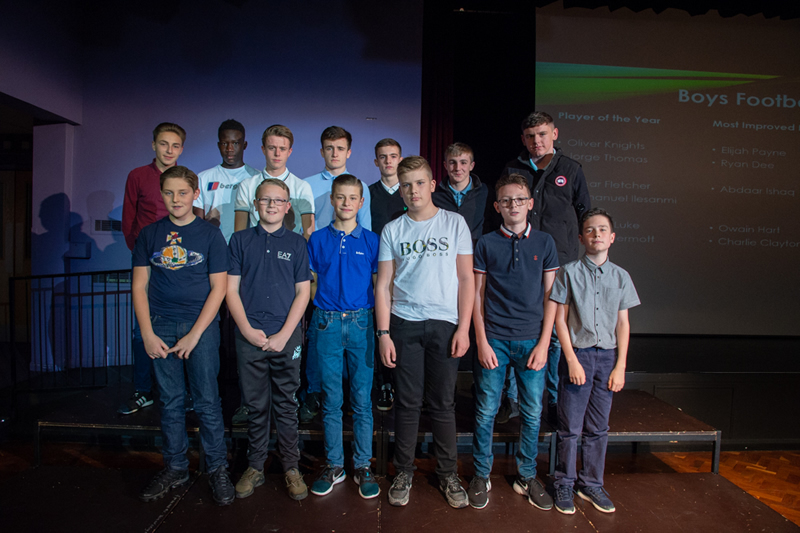 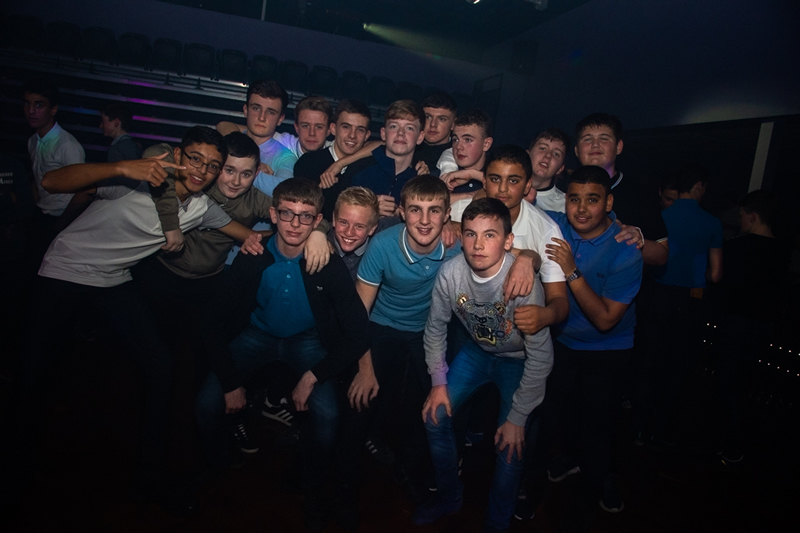 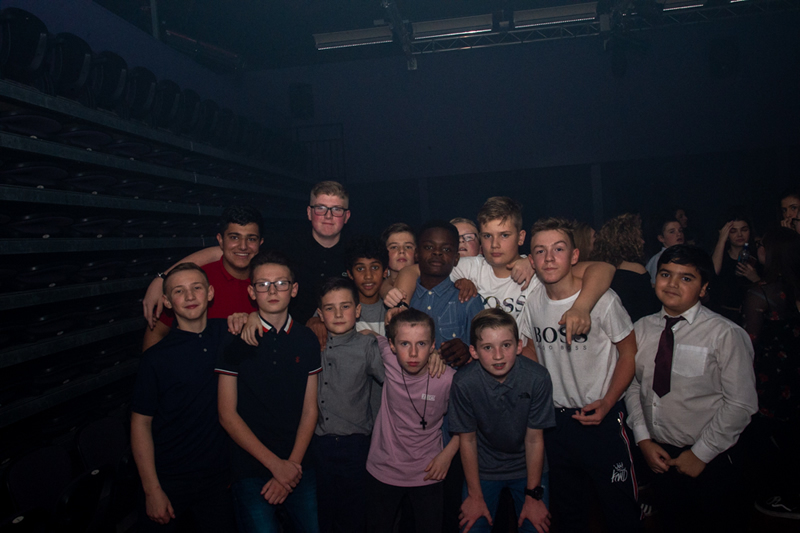 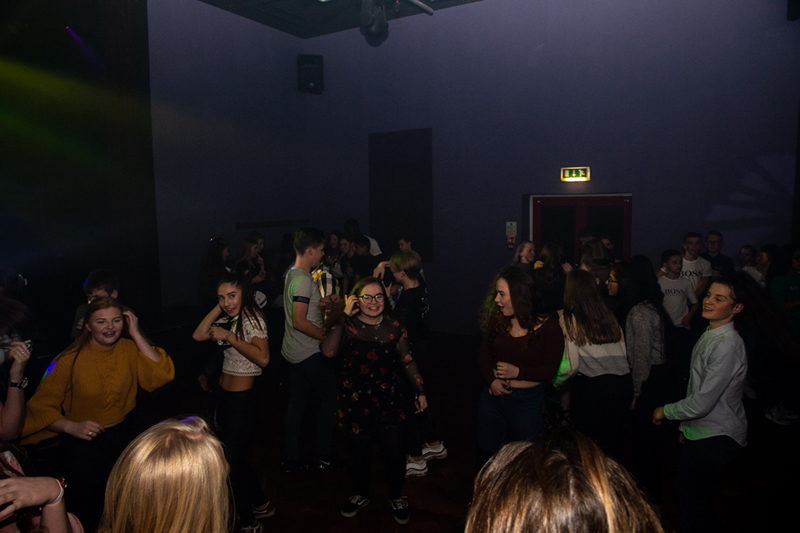 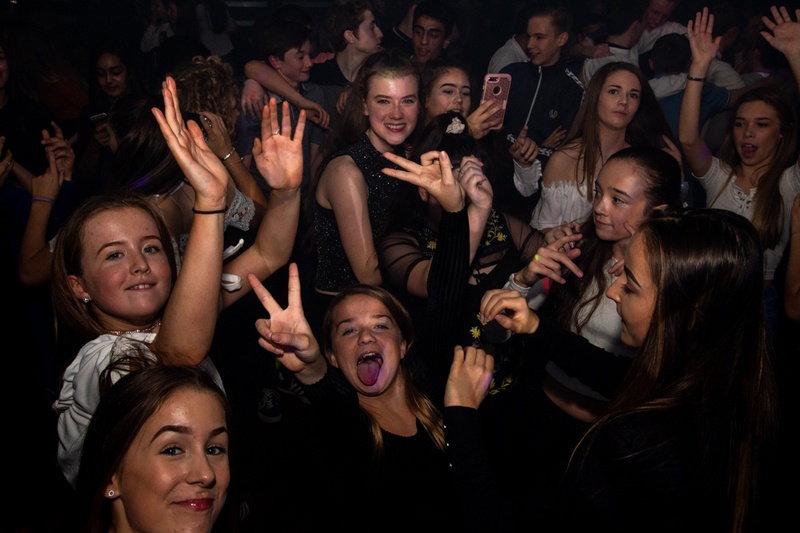 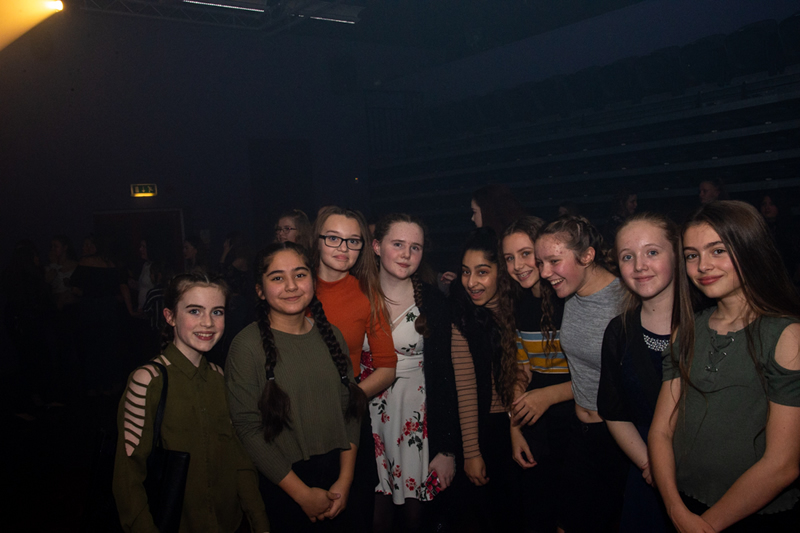 All those attending the awards ceremony stayed on for a party afterwards and were able to celebrate their achievements.